Pioneers in the industry, we offer stainless steel pen holder, pen stand square, round pen holder and stainless steel spoon cutlery holder from India. 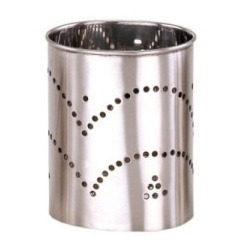 Stainless Steel Pen Holder offered comes in superior round finish as well as with designer perforations that helps in providing in these pen holders am exclusive finish appeal. Here, we can also make these available in customized designs in terms of size, shape and others. Some of its features include availability in standard and OEM specifications, excellent quality material finish, suitable for self use as well as for promotion gifts, fine workmanship standards, good quality finish for lasting usage. 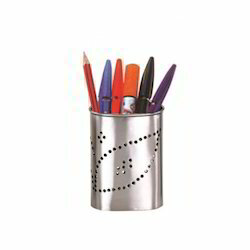 Stainless Steel Pen Holder offered comes available in quality mirror polishing finish and is made available in durable stainless steel metal finish so0 as to provide for long lasting usage. 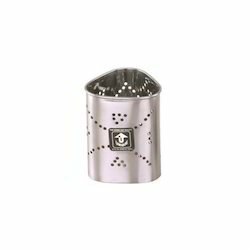 With bright surface finish, these pen holders feature competitive price and professional designs. 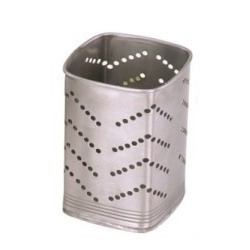 Some of its features include round finish with designer perforations on walls, choice of customized sizes and shapes, available in OEM options, fine workmanship standards and others. Our firm is spends significant time in giving our prestigious customers an immaculate show of Pen Stand Square. Along with this, our offered assortment is wiretapped different parameters by our quality auditors, before last dispatch. Moreover, customers can benefit this gift box from us in different sizes and measurements from us at business leading costs. 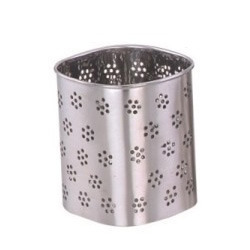 Round Pen Holder offered comes in perfect round finish with designer perforations on walls that help in adding exclusive finish to these en holders. Further, the quality outer and inner polishing support also provides in these a neat and clean finish. Some of its features include mirror polish finish, provide for superior rust-resistance, non-toxic finish, suitable for use by school children and in offices, can also be offered in OEM specifications as demanded by the customers. Looking for Stainless Steel Tableware ?